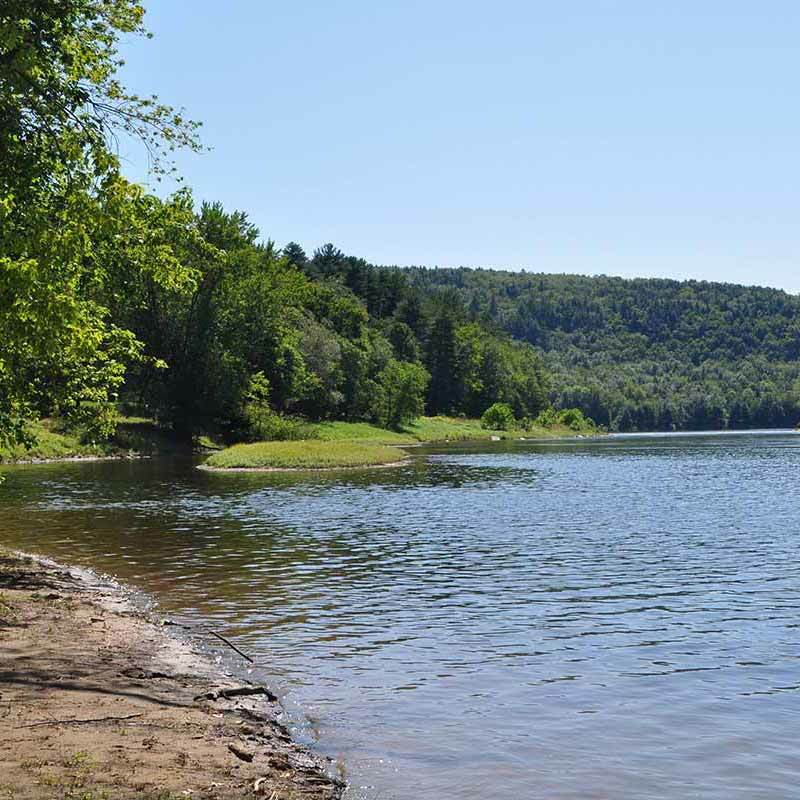 NYLCVEF educational publications seek to shorten the learning curve for understanding New York’s environmental challenges and how they can be solved. NYLCVEF works with our partner organizations to collaborate on common policy goals and produces federal, statewide and regional policy agendas; white papers and recommendations; and other resources such as a Green Guide for candidates running for office in NYC. This week, NYLCVEF released a white paper on the barriers to siting renewable energy in New York and possible approaches to overcoming these obstacles. New York State has committed to reducing its greenhouse gas emissions to combat climate change and increasing renewable energy is a central component of this plan. In 2016, the state adopted an ambitious Clean Energy Standard (CES), which requires renewables to provide 50% of the state’s electricity by 2030. More recently, in December 2018, New York State Governor Andrew Cuomo pledged to transition the state to 100% clean energy by 2040. This formidable goal will require a rapid and comprehensive transition to renewable energy generation statewide, one that will necessitate cooperation and collaboration between private and public entities, and local communities. However, a number of barriers exist that make it difficult to site wind and solar projects in New York State. Often, localities have local laws and ordinances that impede development of wind and solar projects. For example, moratoria on development of renewables, which are intended to give localities more time to develop regulations, often delay development and dissuade potential investments in renewables. In addition, for large-scale installations (over 25 MW), Article 10 of New York State’s Public Service Law requires developers to engage in a lengthy and complex permitting process that, as of December 2018, has only resulted in full certification for one project. Transmission of renewable energy provides an additional barrier: currently, New York does not have enough existing transmission capacity to support its clean energy goals. Further, developing new transmission lines and expanding existing infrastructure is expensive and complex, and not progressing fast enough to meet the CES deadlines. Finally, public opposition to large scale renewable projects has slowed their expansion statewide. Communities have voiced concerns with the environmental and economic impacts of proposed installations, which often require a large amount of land and are not always compatible with existing land uses. NYLCVEF’s report describes these barriers in detail and proposes five preliminary policy recommendations for addressing siting challenges. First, the cumbersome Article 10 process should be reformed to facilitate permitting of large-scale renewable projects. Doing so should include clarifying provisions and procedures within the Article, such as the definition of what constitutes an “unreasonably burdensome” local law, and streamlining the overall process for developers. In addition, the report recommends that localities incorporate large-scale renewable development into their long-term land-use planning. For example, previously disturbed areas such as brownfields and landfills may serve as optimal locations for solar installations, but local policies are needed to encourage development in these areas. Similarly, developers and state agencies are encouraged to engage communities early in the siting process, so that residents can voice their concerns and collaborate to advance renewable projects. Educating the public about the benefits of renewable energy will serve this goal, and should be a priority among state agencies and interested stakeholders involved in renewable energy siting. Finally, developers and host communities are encouraged to explore options to ensure municipalities benefit from renewable installations. Investing back into communities will provide co-benefits for developers, investors, and localities, and ultimately accelerate the adoption of renewable energy in a way that can be sustained over the long term. NYLCVEF is holding a series of rountables across the state to discuss the barriers to siting renewable energy projects. Through convening a range of stakeholders, including community groups, developers, environmental organizations, local governments, and state agencies in productive conversations, our goal is to identify specific recommendations for each location, incorporate them into an advocacy campaign, and help New York achieve its ambitious renewable energy goals. Lead is a highly toxic metal that can have irreversible health impacts, especially on children, causing permanent injuries to their developing brains and bodies. Lead-based paint in homes and buildings is the primary cause of childhood lead poisoning in New York City. In the past few months, we have seen a considerable amount of news bringing NYC’s lead poisoning problem into the spotlight, whether it’s contaminated school drinking water or lead-based paint in homes. Earlier in the summer, New York Comptroller Scott Stringer officially announced an investigation into the agencies responsible for covering-up the lead crisis in NYC's public housing. Because removing toxins from our environment is one of the top priorities in our NYC Policy Agenda, we teamed up with New York Lawyers for the Public Interest and other partners to draft a report on the negative health impacts of lead poisoning in NYC and review the city’s enforcement of its lead poisoning prevention law. In 2004, NYC enacted Local Law 1 (LL1), which created the country’s most protective measures to identify and remediate housing-based lead hazards and aimed to eliminate childhood lead poisoning by 2010. The law includes proactive lead poisoning prevention measures including mandating that landlords conduct regular inspections and abate lead paint in old apartments (built before 1960) during a vacancy. The report found that lead paint in homes remains the primary source of lead poisoning today. Because children’s brains and bodies are very susceptible to lead poisoning, they can suffer from acute and chronic injuries caused by elevated blood lead levels such as decreased intelligence, behavioral difficulties, impaired kidney function, and cognitive dysfunction. We also examined the prevention provisions of LL1, enforcement, and the loopholes that exist in the law. The report found that landlords are, in practice, not being held accountable for non-compliance with the law and that relevant city agencies have largely failed to enforce the primary prevention measures of LL1 since it was enacted. The Department of Housing Preservation and Development (HPD) enforcement data indicates that New York City has never taken any enforcement action against a single landlord for failing to conduct the mandated annual inspections in the 14 years since the law went into effect. Landlords are also not facing any consequences for failing to provide the required documents indicating that the buildings have been abated before new tenants move in. HPD has only issued 2 violations for the failure to comply with mandatory lead abatements at turnover. Without meaningful enforcement and engagement with landlords, LL1 will continue to be a complaint-driven system rather than the proactive prevention law it was designed and envisioned to be. The report also provided detailed recommendations for improving accountability. We included specific recommendations: enforcement of landlord’s annual inquiry and inspection obligations; enforcement of the requirement to eliminate certain lead hazards as soon as an apartment is vacant; safe work practices; and additional data reporting. By implementing our recommendations, the city would be able to proactively eliminate lead poisoning. We believe that with a clear understanding of the flaws in the current law, the city will be able to strengthen the enforcement efforts of LL1, assuring compliance and transparency among landlords. We will continue to spread awareness about policies that combat lead poisoning. School buses are the largest form of mass transit in the United States, and they desperately need an upgrade. Emissions from diesel school buses are linked to asthma, chronic respiratory and cardiovascular illnesses, cancers, and even higher mortality rates. No one should have to breathe in dangerous pollutants while riding the bus, especially when cleaner, safer alternatives, such as all-electric school buses, are available. We held a policy forum about the negative impacts of diesel school buses and pathways to transitioning to an electric school bus fleet. Read the background paper here. Read a recap of the forum here. As a follow-up from the policy forum, we've put together a list of policy recommendations for how we can achieve our goals of transitioning municipal fleets, coordinating a plan for infrastructure, and getting an EV in every garage. 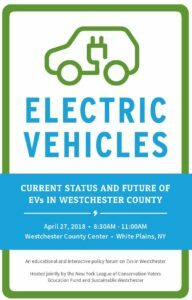 Released jointly with Sustainable Westchester, these recommendations lay out specific ways for how we can increase the use of EVs in Westchester and achieve our goals. Check them out here. Help us achieve our goal of getting an EV in every garage by pledging to test drive an EV and see if it's right for your family and by pledging to tell your decision-makers to electrify your local fleet. Contact list for municipal elected officials can be found here. This policy forum focused on the economic, social, and environmental benefits of green infrastructure (GI) as an approach to managing stormwater. We brought together expert speakers and panelists to provide an overview of green infrastructure vs. traditional gray approaches and how it can be used to protect and restore water quality in the Delaware River Watershed region. From innovative examples to barriers and opportunities, this policy forum helped to equip local landowners and municipal leaders with the information and tools needed to get involved and bring more GI to their communities. Read the background paper here. In September 2014, Mayor de Blasio announced an aggressive carbon reduction goal for New York City to reduce greenhouse gas emissions by 80% below 2005 levels by 2050. In order to address some of the key topics and major challenges to reaching these goals, NYLCVEF hosted a 4-part forum series this summer to address the 80x50 targets in the sectors of transportation, buildings, waste, and energy. Experts representing a variety of stakeholders debated and discussed the future of the city and the most effective way to achieve these goals, guided by questions from both the moderator and the audience. The transportation forum focused on topics of equity, transportation availability, and infrastructure so that New Yorkers in all boroughs will have access to low-carbon transit. Buildings, as the largest contributor to greenhouse gas in the city, focused on the costs of improving energy efficiency particularly in existing buildings that have high retrofit costs. In the waste forum, panelists tackled the daunting question of how the city will completely eliminate waste sent to landfills and where waste will be sent instead. Finally, the energy forum looked at the challenge of transmission and connecting New York City with clean energy upstate. The city officials, experts, advocated, and private sector leaders all added valuable insight into the feasibility of 80x50 and the best way forward. The conversations mimicked the type of cross-sector collaboration needed to craft the most effective policies, and NYLCVEF is hoping to make recommendations based on this dialogue that will shape the city’s path to achieving 80x50 with maximum stakeholder engagement. Learn more about any of these forums by clicking the links below. How can we ensure sustainable mobility for all New Yorkers? Getting to Net Zero: What needs to be done to radically improve efficiency of heating and cooling systems in buildings, and how will it be funded? Reimagining the waste stream: If we send Zero Waste to Landfills, where will it go instead? 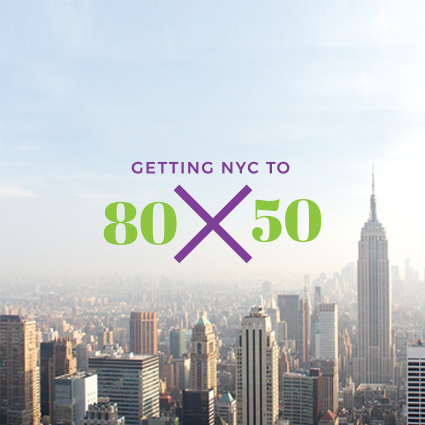 The transmission challenge: How do we get enough clean energy to New York City?